Have you been forced into a PIP assessment? Are you a Disability Living Allowance (DLA) user that has been forced into a Personal Independence Payment (PIP) assessment? We are looking for stories of those that have been forced into a PIP assessment through a third party. For example, if you have had an ESA assessment, failed and then details have been passed on to the Department of Works and Pensions (DWP) and triggered a PIP assessment. Also if you think you have been reported to any agency for a change of circumstances and this has forced a PIP assessment. This does not apply if you have reported a change of circumstances, but in any other case where you have been told that you must be assessed for PIP due to a change in your circumstances. All details will remain confidential. –60% of those sanctioned had been receiving JSA, but a further 33% were unfit for work and were receiving ESA. -40% of respondents said they had not received a letter from the Job Centre informing them of the sanction. –Almost a quarter of respondents did not know why they had been sanctioned. 29% of respondents said they had been sanctioned because they had not done enough to look for work. However, many people commented that the sanction had been applied unfairly, when they had in fact looked for work or attended an interview as required, because of a very narrow interpretation of the rules or for reasons that were beyond their control. -More than half the respondents said they had not received any information about how to appeal against the sanction. Nonetheless, three-fifths (62%) of respondents had appealed. One third of these appeals had been successful and a further 23% of those who had appealed were still waiting to hear the outcome. Administrative delays in receiving formal notification of the sanction meant that a number of people had been refused leave to appeal because they were out of time, adding further to the perception that they had been treated unfairly. -The majority of respondents had been sanctioned for four weeks or less, but almost one third had been sanctioned for 10 weeks or more. The average duration of the sanction was 8 weeks. -Two-thirds of respondents had been left with no income after the sanction was imposed. Those with children reported they only had child benefit and child tax credits. -Just under a quarter (23%) of those sanctioned were living in households with children. More than 10% of respondents were lone parents. -Respondents coped with the loss of income by borrowing money from friends and family (80%), from the bank or on their credit card (8%) or from a pay day loan company (9%). -They also cut down on food (71%), heating (49%) and travel (47%). Almost a quarter (24%) had applied for a food parcel. Some respondents had been left to scrounge for food from skips or bins, or had had to resort to begging to feed themselves. –The sanction had a severe impact on the mental and physical health of many respondents. Existing health conditions were exacerbated because of poor diet and stress, and a number of respondents said they had attempted suicide or that they felt suicidal. –There were also serious effects on the wider family, particularly children, because of the loss of income. There were stresses also on adult relationships: one respondent said ‘the strain has quite literally smashed our family to pieces’. -Many respondents felt they had been unjustly treated because of the Job Centre’s own administrative errors or because a sanction had been imposed unreasonably given their circumstances. I’m worried benefit won’t be sorted in time for rent as this could make us all homeless yet again. Last time we were homeless was a result of fleeing domestic violence and me and my children were put in B&B. When I received the initial phone call, from the DWP, I was hopeful that my health would be assessed fairly. I knew nothing of Atos. I was told that during the process, I would lose no money. That was the first inaccuracy of many to come. I returned the completed health questionnaire and waited. Soon after I was summoned to attend a medical assessment at Wolverhampton, to be conducted by a ‘health care professional’ (HCP). This turned out to be the strangest medical I’ve ever gone through. I was asked to squeeze the HCPs fingers; I was asked to squat, and was told that I could use the wall as balance if necessary. What possible relevance could these exercises hold? The HCP spent more time looking at the computer monitor than she did in eye to eye contact. The assessment eventually ended and I left, with a feeling of impending doom. When I received the decision from the DWP, I was a little shocked, I must be honest. I knew that I could not carry out constant functions over a period of hours. I knew how my symptoms displayed themselves. I sought help at my local CAB centre and almost at once I felt a sense of relief that I was not on my own. The CAB advisor spent over twice the time the HCP had done and she came up with a report which clearly explained how my health affected my ability to carry out day to day functions. There was nothing so profound in the DWP report. My first appeal, to the DWP, failed as was expected, and I was advised to appeal to the first tier tribunal. 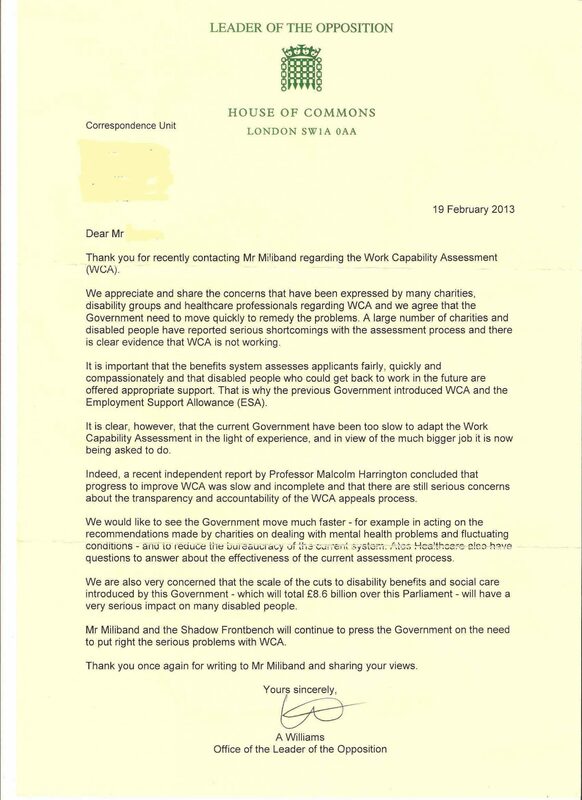 I also contacted my MP, Valerie VAZ, who wrote to the DWP, arguing that the assessment had failed to consider the degenerative nature of my condition, and was therefore flawed. Soon after I received a phone call from a Decision Maker (DM) at the DWP who, after running through the assessment findings, offered another assessment. Subsequent I received a new date with Atos. This was in June 2012. Between then and May 2013 I attended a handful of appointments, all of which were either cancelled by Atos due to my falling poorly during an assessment or for some administrative reason, such as computer problems. On one occasion I was conveyed from the assessment centre to the local AE dept., when my BP & Pulse Rate were exceedingly high, and I was experiencing chest pains. I spent the rest of that day hooked up to a variety of machines in the hospital. Days later I received another Atos appt., this time for 0900…there was no chance I could make an appt. so early in the morning. They should have been aware of this. It’s mentioned in my medical notes. These frequent journeys were taking their toll on my health. My GP was so concerned that he wrote to Atos, explaining and sharing these concerns. The Atos response was to change my AC venue from Wolverhampton to Birmingham, which is further to travel, and to approve a taxi, for collection and drop off at the attendance centre (AC). I already had a lift too the AC. travel was NOT the issue. Atos had, for whatever reason, misread or misunderstood the nature of the letter from my GP. The next appt. was the first taxi journey to the new venue, Birmingham, and my appt. was for 1:15pm. I rang Atos at 12:30 just to confirm the taxi was booked, and was told it was. 13:15 came and went with no taxi. The taxi arrived at about 13:25, which meant I was already late. I arrived at 1355. Almost 45 minutes late. To add insult to injury, I had pre-arranged to meet my welfare advice rep. at Birmingham. He was not happy either. More complaints were submitted to Atos. This time they responded, eventually, with the offer of a home assessment. By the time if my tribunal I had still received no appt. for the Atos doctor to attend my home for the assessment. My appeal was heard by the First Tier Tribunal and I was successful. As good as this news is, it must not be seen as a way out for Atos. They caused considerable stress and aggravated my medical conditions for over a year with the catalogue of errors conducted by their staff. Pure and simple. This would not be tolerated in any walk of life, so why should Atos be permitted to behave in this manner? I am hopeful that someone reading this will be in a position to offer some advice and support. I am very sorry for those who are still fighting Atos. I understand how they feel and I hope that something can be done to help them. The latest Work Capability Assessment figures released by the DWP yesterday (30th May 2013) attracted little of the usual fanfare which usually sounds as they trumpet the results. Perhaps they’re getting nervous with an increasing number of rebuttals over their use of statistics appearing in the press of late? Or perhaps on this occasion they simply didn’t have too much which they wanted to shout about? I think it’s a mixture of both. 73% of claimants having undergone conversion from their incapacity benefit claims had qualified for Employment & Support Allowance with 38% ending up in the Work Related Activity group and 35% in the Support Group. It’s all a far cry from the days when not so longer ago the media fuelled almost certainly by the DWP were saying 75% of claimants were skivers. After being heavily criticised in a number of media articles over drawing unsubstantiated conclusions as to why 878,300 (A figure which in itself was wrong) claimants had closed their claims before being assessed, the DWP appears to mitigate its incorrect assumptions by drawing a reference to a further report ‘Unsuccessful Employment and Support Allowance claims – qualitative research. I’d encourage those following the reassessment programme to give it a close read, not least because it was prepared some time ago back in 2011 and relates to findings drawn from a survey across only 952 individuals and a further sample of just 60 claimants. It’s a meagre number of claimants upon which to draw any conclusions when looking at the many thousands who have, for a variety of unknown reasons, closed their claims prior to being assessed. Before accepting the conclusion, I’d look at the report and the sample size of those surveyed. A complete reference to any of the results of the claimants who have been assessed following their initial assessment is missing from the report although the information is to be found in the tables. These are often omitted but should be included. If you look at the accompanying tables which the report if linked to you you will see that there is a total case load of no less than 958,300 from which 340,300 claimants were placed in the Work Related Activity Group since October 2008, far fewer are found fit for work in the group with 215,100 from October 2008 to August 2012. Both of these groups will have a propensity to appeal, some claimants may for instance at the initial assessment have been placed in the Support Group but after being assessed again may be put in the Work Related Activity Group – creating a number who will appeal. Of these assessed in the ‘reassessed following initial assessment’ group, 78% were entitled to ESA in June, 79% in July and 79% in August 2012 – a sizeable increase when compared with the 73% cumulative total relating to the entire period from October 2008 to August 2012. I fail to understand why so little attention is drawn to a cohort of close to a million claimants who have been ‘repeat’ assessed in this group since the programme started . What these figures, taken across ALL claimants involved in the assessment programme, show is that the DWP ‘case load’ increased by 485,100 over the period from June 2012 to August 2012. The case load isn’t the number of claimants, it is the number of claim interventions made by DWP officials as part of their case load, it can be divided in to cases where an outcome has been recorded in which case the claimant will be placed in the Support Group, Work Related Activity Group or found ‘Fit for Work’. Of the cases which have not been assessed, the claimant’s case can ‘still be in progress’ (this is not the same as the assessment phase data) or could be closed without assessment. Benefit appeals are on the rise…. Sickness benefit appeals up by 70%…. Latest statistics from Her Majesty’s Courts & Tribunals Service (HMCTS) reveal that the DWP’s increasingly controversial Employment & Support Allowance is leading to a massive surge in the numbers of appeals lodged with independent Tribunals. The Ministry of Justice figures can be read here and confirm that for the period July to September 2012 the number of appeals was up by 69% on the same quarter on the previous year. Benefit appeals are now accounting for 58% of all cases received for appeals across all Tribunals – an alarming increase. The Ministry of Justice figures exhibits all the signs of impending chaos with a staggering 813,500 tribunal cases in total; an increase on the previous year when the number had already exceeded three quarters of a million appeal cases. The number of Employment & Support Allowance appeal receipts is of particular concern, in the year 2011/2012 a total of 181,000 appeals were received by the Tribunals. In the first six months of 2012/2013 the figure has shot up to 133,700 indicating that these appeals alone are well on track to exceed a quarter of a million by year end. 42% of DWP decisions in ESA cases are wrong! By comparison with the second quarter of 2009/2010 when Employment & Support Allowance (ESA) appeal receipts stood at 29,000 – the same quarter in 2012/2013 has zoomed up to 73,700 – an increase of 44,700. Of the 53,200 ESA cases cleared at an appeal hearing 22,500 (42%) were found in favour of the claimant. These figures highlight ongoing problems with the standards of decision – making following Atos ‘Work Capability Assessments’ – the DWP is still making an unacceptably large number of incorrect decisions. Total number of benefit appeals now on track to exceed 600,000 by the end of the year! The total number of benefit appeal cases for 2012/2013 has already reached a wholly unacceptable figure of 308,200 meaning that if the trend continues, and there is every sign it will, the total number of benefit appeals alone will have reached well over 600,000 by the end of the year. Cases outstanding (all) – 813,800 – chaos! The total number of benefit appeal case ‘outstanding’ in 2008/2009 was 53,200 in the second quarter and has now more than trebled to 158,700 in the second quarter of 2012/2013. A comparison with the figures for 2007/2008 when the figure stood at 347,100 shows the numbers have increased to a colossal 813,800 in 2012/2013. the number of employment tribunal cases outstanding as of the second quarter stands at 570,200, benefit cases stand at 158,700 in 2012/2013 and immigration & asylum cases at 41,000 – this is absolute chaos! Exceeding the warnings given by the judiciary…. These latest figures show we are well on track to break past the 483,400 forecast for 2012/2013 and exceed the figure given for 2013/2014. The full effect of welfare reform changes has yet to hit the fan, the bedroom tax, more ESA cases, JSA sanctions (standing at 700,000), Disability Living Allowance giving way to Personal Independence Payments are all in the line up and will undoubtedly lead to the Tribunal president’s forecast being considerably exceeded. Government and the DWP has to stop pretending that there is not a perfect storm brewing here, mandatory revision before appeal is only keeping the dispute out of the public’s attention in a pretence that the people who create the problems will somehow fix it. The DWP is assessing twice as many ESA claimants as it needs to just to claim double its dubious ‘results’. In reality the vast majority of those who flow off ESA and incapacity benefits are flowing straight back on to them shortly afterwards – government has no other credible explanation as to why after assessing over 2.8 million claimants between 2008 and 2012 the claimant count has barely reduced by little more than 70,000 – it’s derisory and half that achieved by way of reductions under the older incapacity benefits regime. The fact is that we were seeing much better reductions under the older incapacity benefits. Government is using severely disabled claimants to manipulate its figures by its recycling of what can only be the same claimants. It stands to reason that if vast numbers were really being ‘found fit for work’ the Jobseeker’s Allowance claimant count would have rocketed up to an embarrassingly high level which this government simply cannot afford to show. After coming off ESA claimants are being re-directed back on to it by Jobcentres who can clearly see these claimants are no where near ready for the labour markets. There’s any number of statistical charts on here which you can muse over all day long. (9) By 2012 the claimant count for those on the sick has trickled down by a mere 70K, still leaving us with…. Around 2.6 million ‘on the sick’? (10) This wretched scheme is rapidly emerging as an absolute farce which is being used as a vehicle to keep the long term sick numbers down; thus keeping them from the long term ‘economically inactive’ count used by the ONS to work out the numbers said to unemployed. 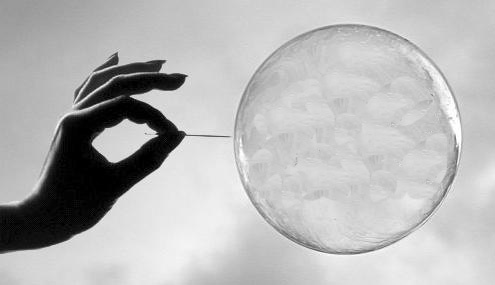 They have engineered themselves a clever way of marshalling the unemployment figure to one which is more ‘commensurate’ with the chancellor’s increasingly doubtful claims that we are ‘on the way’ to economic growth. DWP’s ESA Process in Chaos? Time for your ESA assessment? – waiting over a year! Only the other week we had the DWP recklessly fuelling the tabloids over its absurd claims that 15,000 Disability claimants (most of whom were pensioners and children) were seemingly breaking a leg to get their claims in before the dreaded new Personal Capability Assessment comes in to being this April for new claiments; the DWP neglected to make sure the media told everyone how the figures they were quoting were months out of date! When challenged over the figures the DWP advocate that you should ‘dig deep’ and look beyond their damaging headlines. When you do so it’s interesting to see what you turf up – the utterly chaotic Employment & Support Allowance ‘reassessment of the sick’ programme goes from bad to worse as it is revealed (upon digging deeper in to their figures) that thousands upon thousands of claimants remain ‘stuck’ in what the DWP term the ‘assessment phase’ of an allowance which seems to be getting its claimants no support at all in to employment. Read more about the DWP’s ‘customer journey to nowhere’ The DWP’s most up to date figures for May 2012 (the figures for August 2012 are apparently ‘delayed’) show that an astonishing 455,860 claimants are either waiting for their Work Capability Assessment to be completed or waiting for an appeal against a decision they believe to be wrong. What is totally unacceptable is how a programme which is meant to be helping people back to work is seeing no less than 77,820 claimants waiting a year or more for their assessment or appeal to lead to any kind of proper decision! – in nearly 30,000 cases it’s over 2 years! This is nothing short of a National outrage which the mainstream media have a duty to publish. Here’s the official DWP figures…. DWPs ESA Process in Chaos? You can check them against the official DWP tables here…. DPAC Press Release: WCA Descriptors fail, DWP fails, Atos fails. WCA Descriptors fail, DWP fails, Atos fails. Does any part of Work Capability Assessment actually work? -the DWP and Atos over-reliance on these descriptors explain the number of successful appeals against Fit to Work decisions. It is unimaginable that the DWP and Atos are unaware of these failings, however they continue to give more weight to WCA Descriptors than to Professional Medical Evidence. In the following case, and many other cases, judgement based on Medical Evidence is the only solid basis for robust, fair and reliable assessment of a level of disability. It is also the only solid basis for predictability of ability to return to work. This is clearly illustrated by Charles’ story (shown below). Finally the asinine crudeness and sheer stupidity of what the DWP have the impudence to call a ‘medical report’ is shown by a copy of Charles’ report (attached). If there is a case to illustrate the inadequacy and the irrelevance of using Descriptors for WCA assessment, it is this. If there is a case to show the casual and irresponsible attitude of the Department of Work and Pensions towards Sick and Disabled benefit Claimants, it is this. If there is a case to show that Atos computer based assessments are not fit for purpose, it is this. How much longer will this rotten system be allowed to continue to fail Sick and Disabled people within our Society? Charles stopped work after contracting a serious viral infection in July 2009 and was also diagnosed as having ME in November 2009. He claimed ESA in June 2010. In 2011 he had an Atos WCA assessment, which found him fit to work but after appeal he was put in the Work Related Activity Group (WRAG). He was placed again in the WRAG after a second assessment in January 2012, although he felt he should be in the Support Group, but was too ill to appeal the decision. A few months later, in April 2012, he was diagnosed as having Leukaemia and a degenerative dysfunction of the spinal cord. Following this, on several occasions he contacted the Benefits Office to request to be put in the Support Group, but received no direct response. In April 2012, his ESA was stopped because his savings exceeded the threshold but in August 2012 he notified the Benefits Office that that was no longer the case and sent a letter in September to explain his financial situation. He did not receive any response, and he was still not receiving any benefits, although in September 2012, he was sent another ESA50 form to complete. In September 2012, he requested a copy of the report from his last ATOS assessment from January 2012. Although he did not receive this report despite a further request, a few days later he received a Medical Report dated mid 2012, which until then he did not know existed, having never met the ‘author’ of the Report, a Registered Nurse and Approved Disability Analyst. Reading the report, Charles was astonished to discover that although the nurse who reviewed the medical evidence stated explicitly that he was unlikely to return to work the medical evidence did not score any points for him against the descriptors. As Charles has been too unwell to return to work, it seems that the nurse’s judgement, based on the medical evidence presented to her, was right, and that the descriptors were unable to capture Charles’ level of disability and his long term prognosis. This fact was recognised by the nurse who wrote that if Charles was called to Board he would score above the threshold but that there was insufficient evidence that he met the LCWRA descriptors. But because the DWP decided that more weight should be given to the descriptors than the medical evidence, the nurse’s recommendations were disregarded, although ultimately they were correct. the link takes you to a copy of the Medical Report for Charles’ case (reproduced with his permission), clearly showing that the Descriptors give Charles a clean bill of health, while in reality he is completely unfit for work. Next week sees 2 disabled people take on the government in a judicial review (1) on the grounds that the process is not accessible for people with mental health conditions. (2) will be in the administrative high court, the division of the royal courts of justice (3) which handles judicial reviews , in London . The DWP introduced WCAs to assess disabled people for eligibility for disability benefits. Despite criticism from MPs,(4) the British Medical Association (5) and campaigners, this policy rumbles on. Dozens of disabled people are dying every week (6) following assessment. nearly 40% (7) of those who appeal the decision to remove benefits, have the decision overturned, meaning thousands of people are wrongly being put through a traumatic and harrowing experience needlessly. The governments own appointed assessor of the policy has ruled it ‘unfit for purpose’ . This isn’t good enough. This would not be acceptable in any other government contract, yet goes without comment or sanction by this government. No-one is called to account, no-one takes responsibility. DPAC and MHRN call on ALL activists and supporters to join them in a vigil outside the court to show your support for those taking the case, and your disgust at this shameful and harmful policy. Royal courts of justice, the strand, London wc2a 2ll. Send a strong, clear signal to those who make the decisions. We are NOT going away, we are not backing down. There is no hiding place. We will fight you in parliament, on the streets and in the courts! Have you been denied ESA or DLA, exhausted the appeals process or trying to survive on no income? You can also call Merry on her radio show or be an interviewee. When George Osborne was booed at the Paralympics it was the clearest expression yet of the anger building up against the Tory / Liberal coalition’s welfare reforms, and their treatment of disabled people and those who are ill. The death of cancer patient Cecilia Burns on 27 August and her treatment by the benefits system managed by the Department for Work and Pensions and in part the private company ATOS Healthcare illustrates the nightmare situation anyone can find themselves in if they become disabled or fall ill. While undergoing treatment for breast cancer, Cecilia approached the state for help. She was subjected to the new Work Capability Assessment (WCA) system that was introduced in October 2008 alongside Employment and Support Allowance. This resulted from New Labour’s long-term policy of reducing the numbers on incapacity benefits by one million. The WCA, which is administered by ATOS, usually lasts about 15 minutes and uses a points system that looks at how a person is able to function physically, intellectually and socially. This assessment is so flawed that at their conference in May 2012, representatives of Britain’s 44,000 General Practitioners voted to campaign to end it. Like hundreds of thousands of others, Cecilia was badly let down and told despite her ongoing treatment she was ‘fit to work’. Her benefits were reduced by about £30 a week. At a time when Cecilia should have been allowed to concentrate on her health and be free of pressure, she had to appeal this decision. Her appeal was successful and she had her benefits restored a few weeks before her death. What Cecilia Burns went through could easily be experienced by your mum, dad, sister, brother, aunt, uncle, son, daughter, partner or you. Even those disabled and ill people who are assessed as being unfit for work are facing the prospect of fines of £71 a week if they fail to take part in work-related activities such as training or ‘condition management programmes’. At present about 70,000 claimants lose some or all of their benefits every month when they are sanctioned. The WCA is resulting in people being found fit to work who very few employers would ever consider giving a job to. People with moderate and mild learning disabilities, long-term and enduring mental health problems, and other complex conditions find it difficult to understand or complete the tasks demanded by the jobseekers benefit system. They face losing benefits for months for failing to do enough to find work they’ll never get. Disabled people have had enough and are fighting back. Disabled People Against Cuts organised 21 protests against ATOS on 28 August, and several other high profile protests in London during the Paralympics. ATOS has made hundreds of millions from running the Work Capability Assessment for the DWP, and is now about to heap more misery as they reassess millions of disabled people for the new Personal Independence Payments. We call for the WCA and recent Welfare Reform Acts to be scrapped, the DWP’s contracts with ATOS to end immediately, and the introduction of a more humane and compassionate welfare system. I became disabled when I was hit by a car during my first year at University. The collision put me in a critical condition with multiple injuries including a severe brain injury. I survived the accident but was left with permanent disabilities as well as suffering from epilepsy. I had wanted to study Law and become a Solicitor, but my disabilities have made that impossible. In fact my disabilities, combined with the psychological trauma I suffered, have meant that I haven’t worked since my accident. Until recently I was claiming two benefits, Disability Living Allowance as well as Incapacity Benefit. My benefits didn’t amount to much but at least they allowed me to lead some kind of life. Earlier this year that all changed when ATOS called me in for a Work Capability Test. I was so angry when I first received the letter from ATOS. After attending a Work Capability Test I was passed fit to work by ATOS and had all my benefits stopped. ATOS made their decision based on a 15 minute interview. They never contacted any of the medical professionals treating me; they never even researched my case history. Now I face a lengthy and stressful appeals process against ATOS. I’m being treated for depression and at times have experienced suicidal thoughts. ATOS never seemed to care what affect their ruling would have on my health or on the health of those around me.  Under the new rules, due to be implemented from April 2013, claimants who wish to challenge a benefits decision will no longer be allowed to choose to lodge an appeal immediately.  Instead, there will be a new requirement for claimants to request a revision of the original decision from the Department for Work and Pensions (DWP) and have that request determined before launching the right to appeal to an independent tribunal.  Only once the decision maker has either issued a revised decision, or decided that they cannot revise the decision, will the claimant be able to lodge their appeal.  There will be no time limit on how long this process can take.  The new bureaucratic tier in the appeal system has the potential to cause confusion for many claimants and lead them to make the wrong appeal to the wrong people at the wrong time, leading to inevitable problems with the payment of their benefits. Some disabled people may even withdraw from the appeals process altogether. The current appeal system is already a highly stressful, time-consuming process, resulting in considerable instability in many people’s lives and finances. The addition of a mandatory review stage, with all the attendant uncertainties, can only exacerbate these problems. DPAC is not convinced that the addition of a mandatory revision stage will in any way increase the efficiency of the system.  This problem will be heightened by the fact that there is no statutory time limit for the revision stage. This could lead to indefinite delays to the process while the DWP revises the decision. There is already no time limit in the current system, so adding another stage can also maximise delays, with, once again, a corresponding adverse impact on the health and well-being of the claimant. This could be alleviated if there was a maximum set period for the review process. This would at least provide the claimant with some level of certainty.  Around 40% of all WCA appeals are currently successful with 70% sucessful with representation which is a damning indictment of the quality of ATOS Healthcare’s initial assessment. Tragically and scandalously, many people who have initially been found fit for work have actually died before the appeals process was completed. With the extension of the time frame for appeals that this change will introduce, and no perceivable improvement in the WCA itself, this number can only rise even further.  It is also unclear how the new process will deal with the payment of ESA during the new mandatory revision stage. Currently, a claimant appealing against a decision that they do not have a limited capability of work is able to continue to receive ESA at the assessment phase rate pending the outcome of their appeal. However, if the ESA Regulations are not amended, the position would be that claimants would have to claim Jobseeker’s Allowance (JSA), and therefore comply with all the conditions associated with receipt of that benefit, or face receiving no benefit at all. Many claimants with severe conditions would simply be unable to fulfill the JSA conditions and therefore face a very real prospect of destitution. This would be inhumane and lead to a catastrophic increase in the amount of distress, poverty and debt many disabled people already suffer from. The Government should therefore, as a matter of urgency, provide clarification on whether it intends to allow ESA claimants to continue to receive ESA at the assessment rate while they undergo the mandatory revision stage.  The fundamental problem is that the WCA process is itself fundamentally flawed and it this broken system that needs to be completely overhauled. The standard of the initial medical examination, and the information provided to the claimant on their WCA decision, need to be drastically improved before any needless tinkering with the appeals system is introduced. The Government consulted on the implementation and operation on the appeals reform provisions from February to May this year. The consultation, though, did not ask for responses on whether the mandatory reconsiderations should be introduced. The Government revealed, in its interim response published in June, that it had received 154 responses to the consultation but indicated that it “does not propose to make any significant changes to the draft regulations included in the consultation document as a result of the comments received“. DPAC calls on the Government to publish a full response to this consultation as soon as possible so we can ascertain the evidential basis for this change and just how much support the proposed change has received from respondents.